They’ve been tickling the funny bones of Bangaloreans and audiences across the state in namma bhaashe for more than two years now. 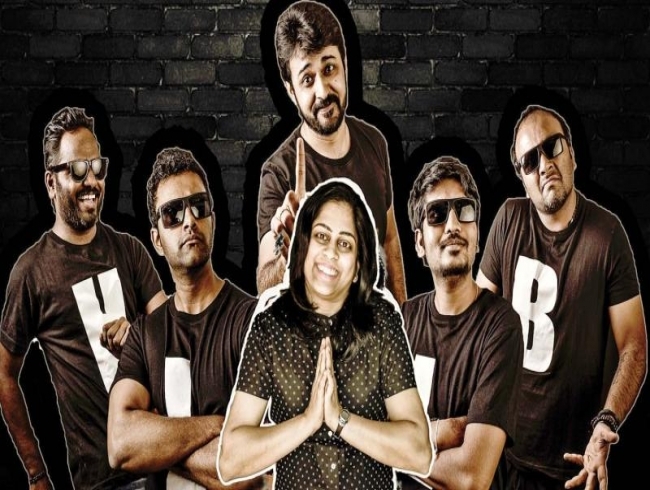 Having reached the milestone of 100 shows, Kannada stand-up comedy ensemble Lolbagh is certainly living upto its name and ensuring that comic buffs laugh out loud and how! Lolbagh, formed in December 2016, has various new concepts planned for their future shows. “Currently, we do stand-up comedy and improv. The Kannada audience is more inclined towards drama, so we’d like to integrate stand-up comedy and drama. We’re going to have a comedy drama soon. The second thing we’ve planned is a comedy orchestra, where we’ll have comedy in a song pattern. It’s already being done in Hindi, and now, we’re hoping to introduce it in the Kannada scene,” reveals Anup, who also works as a senior technical trainer. Over the years, the Kannada comic scene has seen the kind of audiences grow. “Earlier, we had only youngsters watching our shows. But now we have senior audiences, family crowd and drama aficionados coming to our shows. We’ve performed in Mysuru, Hubli, Ballari, Davangere and intend to take our humour to other states too,” says Anup of his ensemble, that hopes to perform in Sydney soon. Lolbagh also wants to help aspiring Kannada comics by providing support to them. “ Those who are interested in Kannada stand-up comedy can reach out to us,” adds Anup.